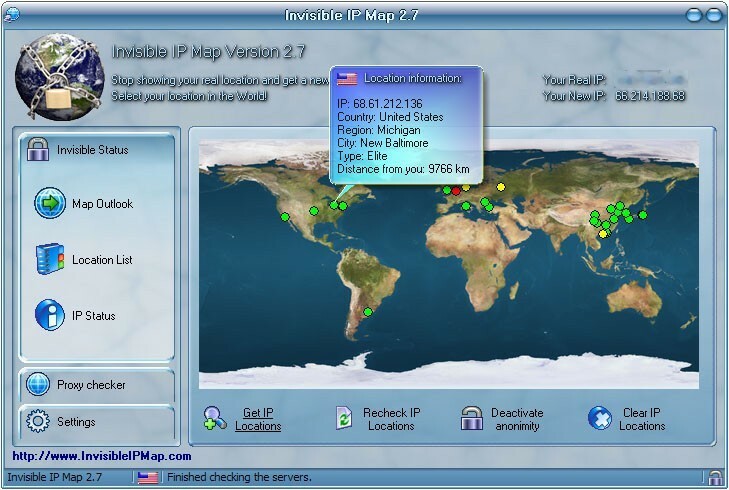 This is a Mask IP software which is used to change your real Internet address while browsing. The software will deliver you fresh anonymous proxy servers every time you decide to click on "Get IP Locations". The main benefit of this software is that you can't be traced when browsing websites. Also if a website is restricted for users from specified country the program can bypass that protection. By hiding your IP you will prevent receiving spam from marketers which know your interests by tracking your IP when browsing websites. You can use web based e-mail to send anonymous e-mail. Post on bulletin boards without displaying your real IP address. Surf Anonymous Free - Surf Anonymous Free, the ultimate Free online protection software, protects users' online identity via IP Hiding, which disguises the real IP address, thus provides anonymity. It is easy-to-use, free of any malware, along with good compatibility. ZenVPN - ZenVPN lets you access blocked or geo-restricted websites, protect your connection from snooping by ISP and conceal your real IP address from the sites you visit. The free version comes with a 250Mb/day bandwidth cap but no other restrictions. Anti Surveillance Project - Prevent monitoring and browse the web anonymous. Anti Surveillance Project 1.0 will prevent monitoring you, you may test if you can visit blocked sites, is only for legal purposes, use it at your own risk. Easemon Employee Monitor for Mac - Easemon is an all-in-one employee monitoring solution for Mac that monitors keyboard entries, Internet usage, application usage, desktop activities by screenshots, IM conversations and more. The logged data can be remotely managed in a cloud server. Email Privacy - Email Privacy is a utility that ensures your email security and privacy by sending email messages directly to recipient mailboxes without leaving any traces on your PC and on the Internet.